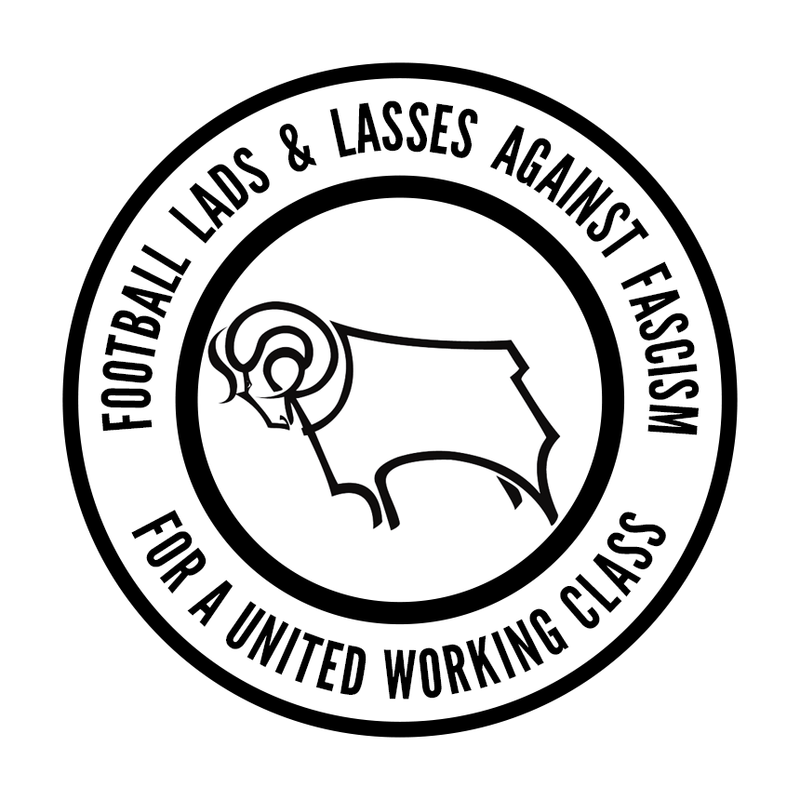 We’re excited by a new anti-fascist initiative amongst football fans: Football Lads and Lasses Against Football (FLAF). The organisation has been set-up in response to the recent surge in far-right activity. The Football Lads Alliance is at the core of this new movement. 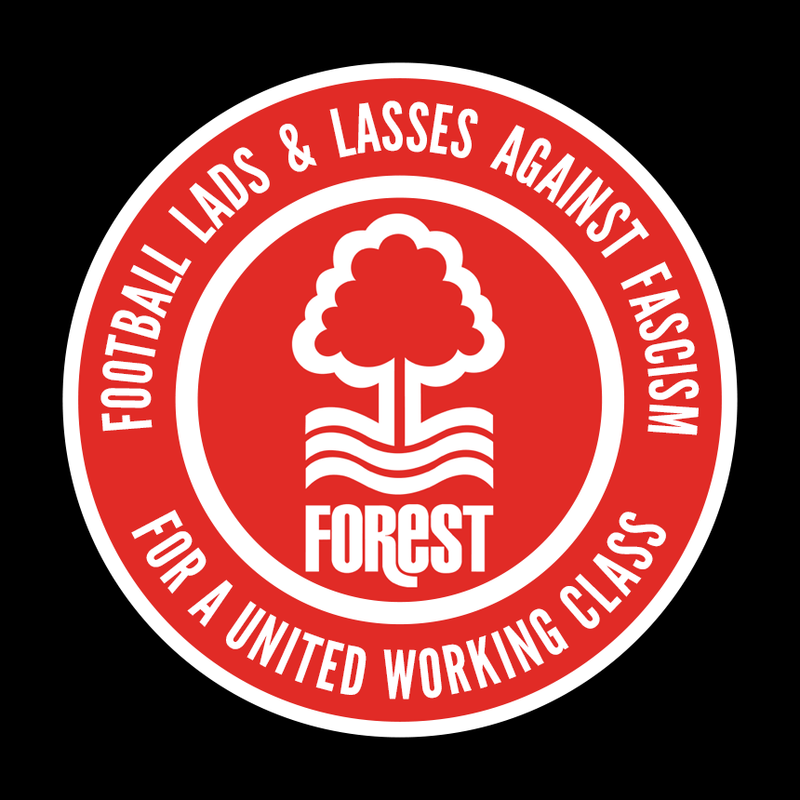 Despite the hard work that has taken place in football to fight racism, it’s clear there remains a section of fans who are susceptible to far-right and fascist ideas. FLAF want to change that. It’s time now for those fans who oppose the rise of the right at football to stand up and be counted. 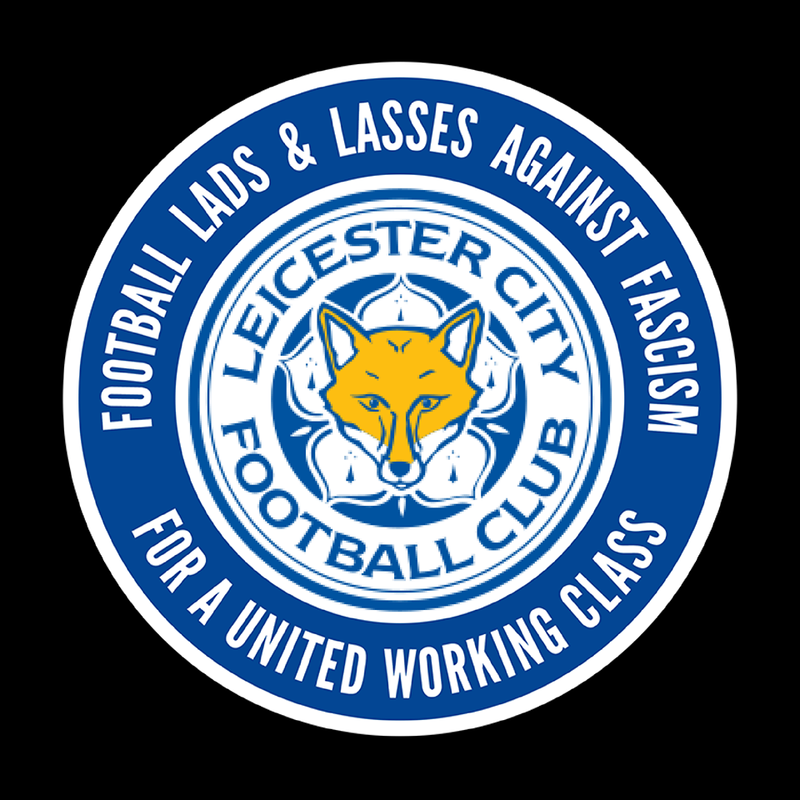 As well as mobilising against their marches, we need to counter them at our own clubs, by whatever means is necessary, from leaflet and sticker campaigns to gentle persuasion. The founders have been busy creating versions of the logo with shitloads of team crests. Among them some of the big local clubs: Nottingham Forest, Derby County and Leicester City (see below). Fans are encouraged to use these logos at their club as they see fit (provided they don’t add any other political symbols). Apparently eager Leicester fans have already begun printing wads of stickers. You can find FLAF on Twitter and Facebook.